Once a year, in September, blood cancers have their turn in the spotlight. Fortunately for me, the timing is perfect; September just happens to be the month prior to the Leukemia & Lymphoma Society's, Light the Night Walk Fundraiser in Boise, which seems to fall the first week in October. I have participated in fundraising, for the LLS, for the past four years. Prior to that, I had ZERO experience in fundraising of any sort. I look back now, to the first time that I set up my fundraising page, and set my goal at $250. I was concerned that I would not reach my goal, and tentatively sent out an email to my friends and family. 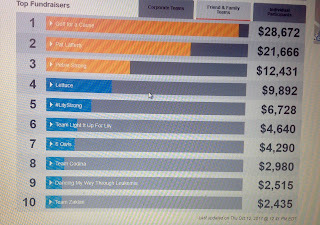 I also went "public" and shared my fundraising page to Facebook. Asking friends and family for money, for any reason, was quite uncomfortable to me, and when the very first donation was posted on my page, I was shocked and astounded, but also, very encouraged. What I did not realize, was how willing my friends and family were to help me not only acheive my goal, but to surpass it; beyond my wildest dreams. I quickly reached my original goal and tentatively set it higher; it seemed that every time I set a new goal, it was surpassed. I had so many people, generously donating to the Leukemia & Lymphoma Society, on my behalf, that I realized just how blessed I am. I set a meager goal, not believing in my ability to reach it, when in truth, with my tribe behind me as a group, all things are possible. The love and support that each and every one of you shows, during this campaign, gives me the stregth to continue fighting chronic mylogenous leukemia, until a cure is found. 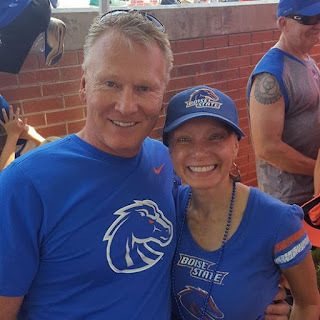 If the cure does not come in my lifetime, then I will continue to fight until the bitter end, knowing that we all did our part, in helping to find a cure for blood cancers, some day. I had no idea how much your donations would mean to me personally, but your support then, and throughout the following three years, has meant the world to me. You make my heart swell with pride, and I cannot thank you enough. This visual support gives me such a boost, but all of your friendships and verbal support, hugs and encouragement , every single day mean even more. I often apologize for my nagging nature, during the month of September, but I also have come to realize that when you know someone with cancer, or another type of disease, or tragedy in their life, that you often do not know what to do, or how to help, or support that person. I know that I often feel helpless, when I see others in need, and I don't know what to do, but contributing to a cause, that they believe in, often gives me a way to not only show my support, but helps me to feel as though I have done "something" to contribute to their plight; and make a difference. It makes me feel good; it makes me feel useful, and I hope that it shows just how much I care. Understanding how "helping" makes me feel, I must also realize, that I shouldn't feel "guilty" for allowing others to do the same; for me. Fundraising is an extremely humbling experience, and to see the outpouring support that I have received fills me with gratitude and joy. In 2014, we raised $1710, in 2015 our total was $1825, last year in 2016 we raised $2250 and this year, with the help of a dear friend, Lynda Wolters, who was recently diagnosed with a rare form of blood cancer, we raised $2515!!!! That is a Grand Total of $8297; in four years! 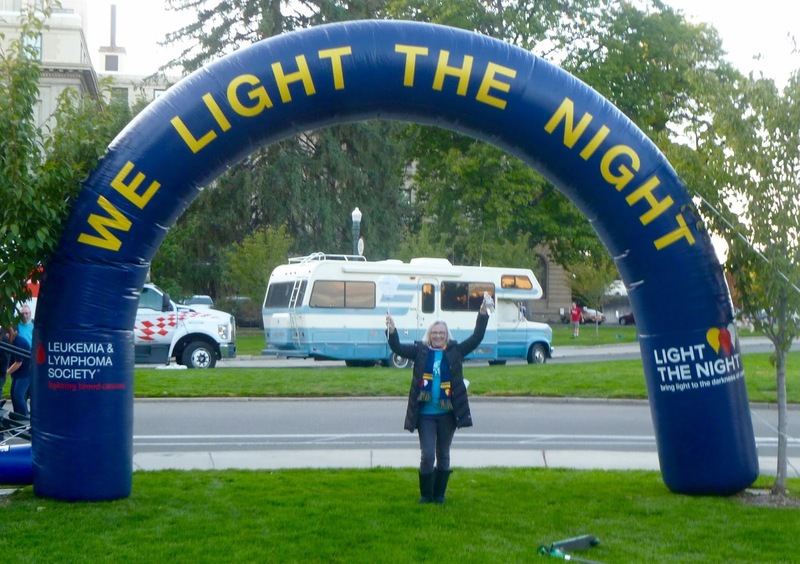 That puts us at number 9, in the Friends and Family category for Boise's, 2017 Light the Night Walk; pretty impressive, in my opinion; you guys ROCK! Boise actually surpassed their goal, as well; our whole group raised a total of $430,431; as of this date. Donations are still coming in, but this has been a record breaking year. Thank you to all who donated to my 2017 Light the Night Fundraiser; your generosity will help to find a cure for blood cancers. Until next year...........stay healthy and happy! Some how I am not surprised with the amount you collected. When the it is for good cause, people will donate. Many people must be inspired by your work. Atleast I am. Not everyone can do it. Thank you for sharing your experience.